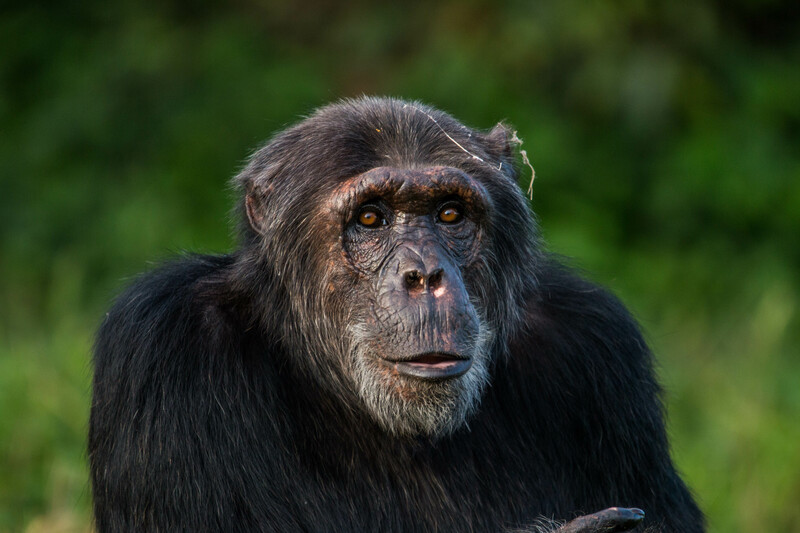 My name is Eddie and I arrived at Ngamba in 1998 after being confiscated from a circus. I was the alpha male for a short time several years back but I am still high ranking. I often display by throwing rocks and during feeding I stand up and raise both arms for attention.